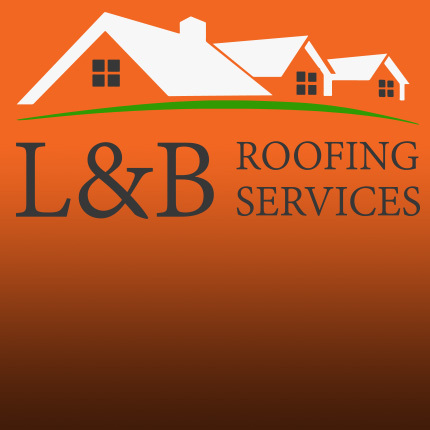 Leeds Roofing Services has over 10 years experience in the roofing industry. Our company carries out various kinds of slating, tiling and general roofing projects. Our team of qualified roofing experts offer professional workmanship at competitive prices. Leeds Roofing Services provides all clients with high quality roofing service. The fully qualified, expertly trained staff guarantees the highest standards possible. Leeds Roofing Services has a growing team of tilers and slaters who have cost effective and professional work as their main objective. Due to its durability and long service life it contributes to sustainable construction. Plastic uPVC is the most widely used guttering system throughout the UK. Our company offers a range of thermally insulating materials made from sheep wool, recycled plastics and hemp. 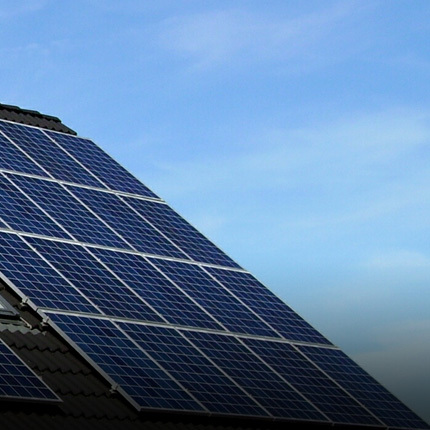 Solar panels offer a modern solution to generate clean and renewable electricity even in the average home. Sky lights are now available with nice looking, modern double-glazed roof windows. 100% of customers is fully satisfied with our roofing servies. Sonny and his team did a fab job with our roof. Quick and clean job, I more than happy to recommend them to any of my friends. 100% of our customers would recommend Leeds Roofing Services to their friends and family. As roofing contractors we use both traditional and new methods to carry out various kinds of pitch roofing and flat roof works in Leeds and in the surrounding area. We guarantee high quality results not only in minor repairs but also in large-scale re-roofing projects. As a well organized team of competent roofers we invariably focus on the clients and aim at carrying out work to a very high standard. 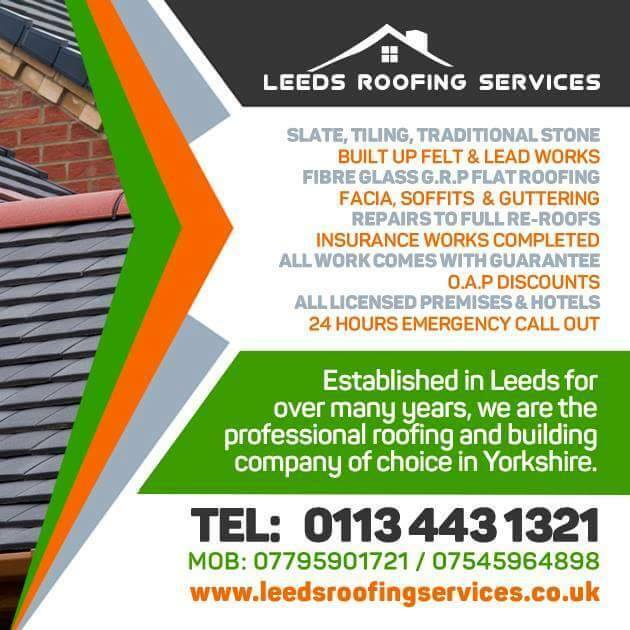 As a company, Leeds Roofing Services, we carry out all kinds of re-roofs – from industrial buildings and residential houses to porches and small outdoor buildings. As professional roofing contractors we use both traditional and up to date methods. Slate re-roofs: Slate is a natural roof product. It is slightly more expensive than various kinds of artificial materials, like concrete tiles but has a greater life span and is remarkably durable. The expected life span of slates is approximately 75 years as compared to as little as 12 years for artificial products such as concrete tiles. Slate always retains its natural colour even in UV light. It is completely water resistant and stands the test of time. Certain Welsh slates, if installed to quarry specification, can be issued with a 100 year guarantee. 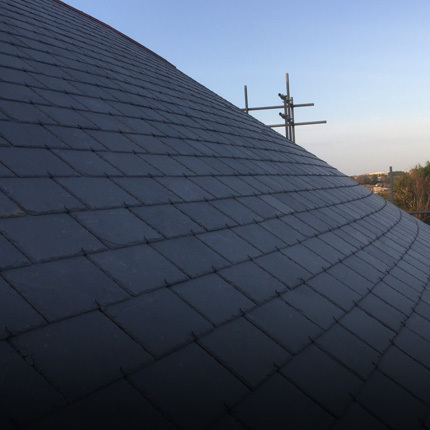 Welsh slate is immensely popular and is commonly used in roofing throughout the UK. Welsh slate is generally considered to be the finest slate in the world. It has been used for a long time on all kinds of buildings and houses. 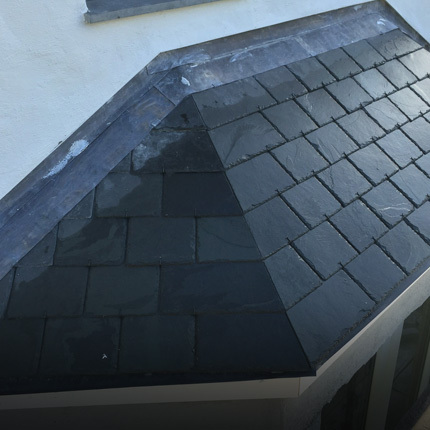 Welsh slate is considered to be the toughest natural slate product ever known, as it has the longest life span when compared to any other slate. It is available in a wide variety of colours. When carrying out re-roofing in Leeds we often find that the existing slates are in perfect condition and re-use these on our re-roofs to replace broken or unusable slates on the roof. We recommend this type of slate for all our clients. Some roofing contractors carry out re-roofing or roof repairs by using cheap alternatives such as Spanish or Chinese slates which has lower quality and shorter life span. Tiled re-roofs: Tiles are artificial substitute for slate. They were originally formed as a cheaper alternative to using slates in roofing all kind of buildings. There is a wide variety of concrete and clay tiles available. Several suppliers offer interlocking and double lap tiles, and the cost generally varies from tile to tile. These tiles are usually machine made. Due to highly developed concrete tile technology tiles have different colours and finishes. Some reproduce the appearance of slate and other traditional roof cover. There are also traditional reclaimed tiles which can be hand crafted, like plain tiles, French Gaelic Tiles or Pantiles. These are commonly used in Leeds area, so our company is also specialized in roofing with traditional tiles. Tiled roofs have a life span of 50 years and need little maintenance, if installed correctly. 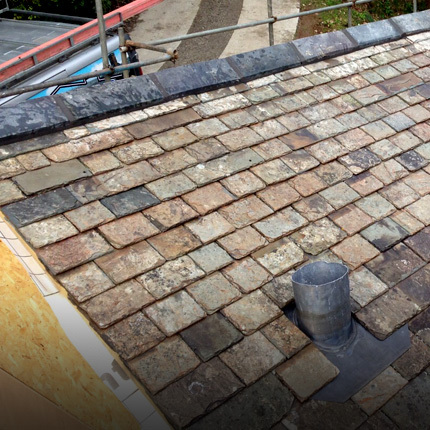 With tiles you can also install dry verge and Ridge systems which make the roof mortar free. 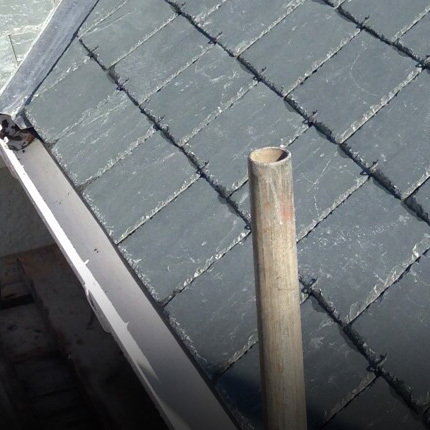 Slate roofs can last 75 years or more and need little maintenance, if installed correctly. 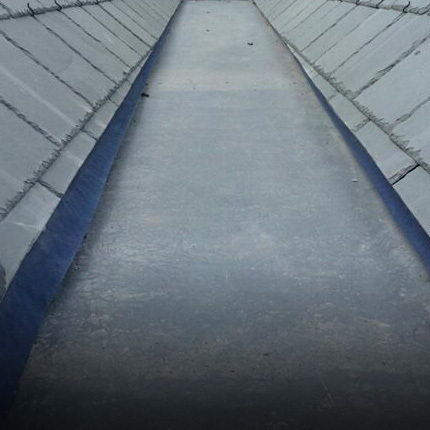 Cure It, the GRP (glass reinforced plastic) Flat Roofing System we generally use, is a fully-formulated, wet-laid GRP waterproofing system which comes with a 20 year warranty. This modern product is highly flexible and is fully-bonded to the roof structure. This roofing system is completely resistant to any wind uplift that could be expected during the product’s life span. The Cure It waterproofing system is widely used waterproofing applications of almost any size or complexity. This Flat Roofing System has different kinds of finishes, such as nonslip surfaces and it is available in a wide range of colours. For this reason GRP is an increasingly widespread and convenient alternative to well-known, previously used traditional roofing systems. GRP (glass reinforced plastic) is the technical name for “fiberglass” as it is commonly known. It was originally developed in 1938 for use in insulation. The application of Fibre Glass roofing system is really straight forward. It is highly durable so it is commonly used in various applications in a number of industries. Being strong, waterproof and extremely functional, GRP (also known as FRP, fibre reinforced polymer) offers the ideal solution for various applications such as roofing systems. GRP roofing system requires no special maintenance and comes with a 20 year warranty. Occasionally the surface may need simple cleaning just for aesthetics. Cast iron guttering systems offer high quality solutions for traditional buildings and heritage sites throughout the UK. As far as guttering is concerned, cast iron is widely used as long term and nice looking solution. It has extremely long life span if maintained correctly. Cast iron systems are available in a wide range of sizes and shapes, such as half round, moulded and rectangular. Clients are offered several kinds of cast iron extras like hopper heads and detailed pieces available to suit different styles and building designs. Cast iron as an environmentally friendly product uses 97% recycled material in the manufacture of various kinds of rainwater systems. Cast iron is also recommended by Greenpeace as environmentally friendly drainage material. It is very strong and durable. It has a life span of more than 50 years, and it occasionally exceeds even 100 years. So cast iron systems will have minimal environmental impact and will surely last your lifetime. Dry ridge and verge systems have been introduced by companies such as Marley, Klober, Manthorpe and others. They have been especially designed to make roofs mortar free and in time maintenance free. PVC dry verge offers the ideal solution to block gaps that would allow birds or large insects to enter the roof space. It is a nice looking edging to any roof in either slate or tile and it requires no maintenance. It is easily fitted to all kinds of buildings to cover all kinds of gaps, to replace decayed mortar or stop any falling debris. They are used on both new buildings and existing roofing systems. The units are available in different colours: blue, black, brown and white. Clay and concrete verge tiles are also available. These are similar to the PVC dry verge systems, but the gable end tile has a finish which comes over the gable end. Dry verge systems require no special maintenance for over 10 years if installed correctly with eave closures and cap ends. Solar tubing systems offer a high quality alternative to artificial lighting. They can be used in both new and already existing buildings. These products make use of natural sunlight and thus improve conditions in homes, schools, offices and all kinds of buildings that need some additional daylight. Solar systems generally reduce energy consumption and costs. Solar tubing systems function in a similar manner to a window: the brighter the day, the more light you receive. When selecting a solar tubular lighting system, make sure the product takes the best advantage of the light level every day and every season of the year. The ideal device easily controls the light levels of rooms and even corridors or other places with no natural light at all. The solar tubes we generally offer are rigid and reflect a very high percentage of light into the buildings. There are also flexible products available which are easier to handle and install, but reflect much less light into the buildings. Lead is commonly used for all kinds of roofing purposes: water proofing box gutters, valleys, dormer tops and cheeks, gutters, canopies etc. Although there are various kinds of synthetic alternatives, lead is still considered to be a durable and very practical material that has a life span over 100 years. Due to its durability and long service life it contributes to sustainable construction. 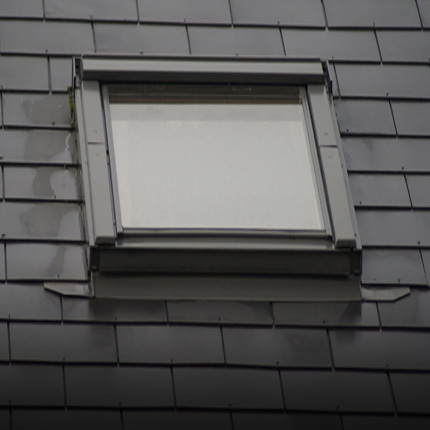 Plastic uPVC is the most widely used guttering system throughout the UK. It is available in various sizes and shapes. Plastics offer the simplest solution to replace existing guttering. Their various installation benefits include easy handling and the ability to be used in awkward places. Recently plastic uPVC has been available in shapes and sizes similar to cast iron. UPVC guttering, fascias and soffits need very little maintenance. Gutter lining should be kept clear and wiped down when required with an uPVC Cleaning product. It uses 97% recycled material in the manufacture of various kinds of rainwater systems, which in turn are 100% recyclable. It is recommended by Greenpeace as a reliable drainage material. It is very strong and durable. It has a life span of more than 50 years, and it occasionally exceeds even 100 years. So cast iron systems will have minimal environmental impact and will surely last your lifetime. Cast iron guttering systems require little maintenance. They only need painting from time to time, depending on location and environmental conditions. Wood is the oldest form of guttering and has minimal effect on the environment, so it is widely known as an environmentally friendly solution. However, wooden gutters have been gradually replaced by cheaper plastic and metal products. Wooden gutters require regular maintenance, such as repainting. Gutter lining also need attention with bitumen or oil based paint from time to time. Maintenance can considerably add to the life span of wooden gutters if carried out correctly. There is a wide variety of insulations available on the market. Our company offers a range of thermally insulating materials made from sheep wool, recycled plastics and hemp. These materials come from natural or renewable sources to supply environmentally friendly products. 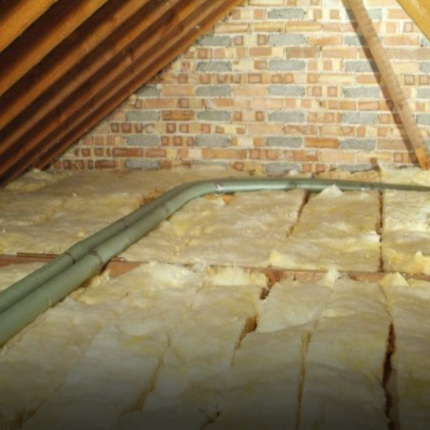 We also install traditional forms of insulation to meet all requirements in insulating various kinds of buildings. These options include Rigid Board (King span) and traditional loft blanket (Mineral wool). Solar cells existing today are mainly solar hot water panels. Solar water heating systems use the heat from the sun to warm up hot water in homes. They supply hot water throughout the year. It works every day but during the winter water needs to be further heated with a boiler for instance. They considerably reduce your bill. Once the initial installation is carried out and paid for, hot water will cost much less. They reduce your carbon footprint. Solar water heating is a renewable, environmentally friendly heating system which does not release any harmful pollutants such as carbon dioxide. Solar heating systems usually require little maintenance. Solar panels need to be thoroughly checked for any sign of damage every year. Solar heating systems come with a 5-10 years warranty. In the past few decades traditional roof lights have been considerably developed. They can introduce daylight into various kinds of roof spaces and make them much more functional. Sky lights are now available with nice looking, modern double-glazed roof windows that are in most cases fully openable. Roof Sky Lights generally require no maintenance. Velux products usually come with a 10 year warranty.